Published February 15, 2018 by admin. Restylane is our most popular choice of filler at Elan Medical Skin Clinic. Why?, because 95% of our patients thought that their results looked natural within a few days of treatment. Both Restylane Kysse and Juvederm Volbella provide soft, natural looking lip enhancements and Sue Ibrahim, our Nurse Practitioner has over fifteen years experience in creating beautiful lips using Restylane, in fact Restylane was the first synthetic filler around 15 years ago. What kind of product is Restylane Kysse? It has been specially designed and formulated for injecting into the lips for enhancement and contouring of thin looking lips, the cupid’s bow, or to simply add fullness. It is structured to withstand the range of mouth movements and all Restylane products are completely broken down within the skin over a period of months, eventually leaving no trace of the filler. How safe is treatment with Restylane? Providing you are treated by a qualified and experienced doctor or nurse practitioner, you should be in good hands. Most of our clients only report slight swelling following treatment which normally resolves within a day or two. Occasionally, a small bruise may be seen at the injection site but this normally fades within a week. Of course, there are risks associated with any skin or lip filler, like temporary palpable lumpiness has been noted after injection. Localised reactions thought to be of a hypersensitivity nature have been reported in about 1 in every 2000 treated patients. Redness, tenderness and rarely acneform papules may occur. In addition in rare cases (in less than 1 in 15,000 treatments) granuloma, superficial necrosis and urticaria have been reported. This is the reason why these procedures should only be carried out by registered medical practitioners in an inspected clinical environment. How can you reassure me that Elan Medical Skin Clinic is the right place to come for my Restylane treatment? 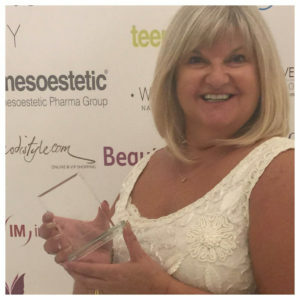 Firstly, Sue Ibrahim is a registered nurse, with over 30 years experience in dermatology and almost twenty years working in the medical cosmetic environment. 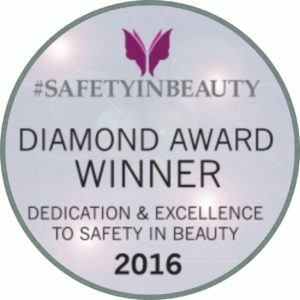 She was also runner-up in the national ‘Nurse of the Year’ Safety in Beauty awards in 2016. 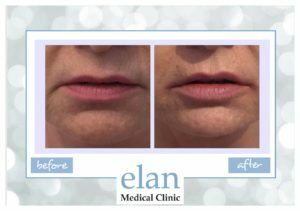 Elan Medical Skin Clinic has been around since November 2000 and during this time, Sue Ibrahim has performed thousands of skin fillers using Restylane and Juvederm. Elan Medical Skin Clinic is also registered and inspected by The Care Quality Commission and by Treatment You Can Trust. Both of these organisations are backed by the Government in the UK. Elan Medical Skin Clinic also provides a live feed, so you can view exactly what our clients are currently saying about us. Click here to see our reviews. If you would like to speak to one of our staff about booking an appointment, please click here. Published October 23, 2017 by admin. 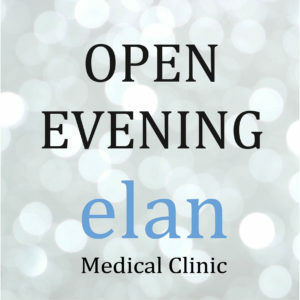 Join Elan Medical Skin Clinic in Essex for our open evening on October 31st 4pm – 8pm. You and a friend are welcome to join our lovely team at Elan Medical Skin Clinic in Essex for an informal social evening on October 31st 4pm – 8pm. Our Open Evening is an ideal opportunity for you to meet Sue Ibrahim and her team and have a chat with our new award-winning GP, Dr Alex Tran and Amy, our laser therapist. You will be able to find out more about our new, highly effective facial rejuvenation treatments, PRP stem cell injection therapy and Silhouette Soft Thread Lifting. There will also be a free prize draw to win a selection of our exclusive DermaActive products. There’s no need to book – we look forward to seeing you at our intimate and cosy Rayleigh skin clinic. Published October 2, 2017 by admin. Elan Medical Skin Clinic’s skin expert Sue Ibrahim really ‘nose’ her stuff. Sue Ibrahim, our medical director and nurse consultant in dermatology, has more than 30 years’ experience in dermatology and 20 in skin treatments. This makes her an ideal person to talk to if you would like to improve the appearance of your nose. Noses can cause people to feel very embarrassed about their appearance. Many can dislike the shape of their nose, its appearance due to threat veins, warts or nasal lumps or even skin thickening. Published September 14, 2017 by admin. Our eyes say so much about us. They reveal our happiness, sorrow, physical wellbeing and sometimes our age. How many times has the morning after a boozy night been given away by our puffy, red eyes?! And where do we concentrate most of our make-up techniques and beauty products? Get a helping hand to ensure your eyes look radiant and rejuvenated from Elan Medical Skin Clinics in central London and Essex. Our resident skin expert, Sue Ibrahim has more than 30 years’ experience in dermatology and more than 20 in wrinkle reducing injections and dermal fillers. Published July 19, 2017 by admin. From soothing your skin to smoothing your skin – our London skin expert does it all! In our last blog we talked about soothing lumps, bumps, rashes and itchy skin, this time it’s all about smoothing and rejuvenating our skin. As well as having more than 30 years’ experience in dermatology, Elan Medical Skin Clinic director, Sue Ibrahim, has spent many years honing her cosmetic dermatology services. This means she can offer exceptional quality treatments including skin fillers, wrinkle relaxing injections, skin peels and plasma soft surgery. Done properly, no-one should be able to tell you’ve had wrinkle reduction. By choosing the right practitioner to achieve your aim, you can rest assured that your appearance will be improved yet remain completely natural. Wrinkle-relaxing injections are one of the most popular cosmetic medical treatments for facial lines and wrinkles in the UK. Our award-winning nurse consultant, Sue Ibrahim, has more than 15 years’ experience in advanced wrinkle reduction procedures.